Cowaramup serves up hidden foodie gem – and it’s not a black sheep! Black Sheep Deli owners, Daniel Kozyrski and Nikola Paget, in the thriving herb and vegetable garden they are nurturing in their back yard to supply their café. Cowaramup isn’t known as a foodie destination, but an unpretentious little eatery which is big on taste is putting the quirky hamlet in Western Australia’s South West squarely on the food lover’s map. In a town that playfully embraces all things bovine, it’s not just the name Black Sheep Deli that makes this café a stand out. It’s the incredible menu of seasonal dishes all created from scratch and born from the philosophy that food that’s good for you doesn’t need to be bland or boring. Taste is at the very foundation of owners, Daniel Kozyrski and Nikola Paget’s approach to creating food that nurtures, satisfies and wows the taste-buds. “I’ve always had a deep interest in fresh and sustainable produce and its ability to both feed and heal the body and the mind, and as a Chef, Dan understood how to use fresh produce to create food just bursting with flavour and texture,” said Nikola. “So, it was natural that we would eventually combine our passions and start devising recipes that were as healthy as they were delicious. It was a tree-change decision to move from Perth and build a home in the middle of natural bushland five minutes from the Cowaramup town centre back in 2015 that saw the pair stumble across an unused shopfront on Bussell Highway. “It was a former fruit and vegetable store and much to my horror Dan immediately see the potential to turn the space into a café,” said Nikola. But she swallowed her misgivings and joined her husband in the challenge of turning the unused shop into a warm and earthy kitchen and eatery. Black Sheep Deli’s pared back décor and predominance of natural timber is the perfect canvas for the real star of the show – the food. Freshly squeezed juices, healthy smoothies and arguably the south west’s best coffee are the perfect accompaniment for mouth-watering salads, ever-changing vegan cakes and slices, and breakfast combos which have become a firm favourite with early-morning surfers from Margaret River, Dunsborough and Yallingyup. Then there’s Black Sheep Deli’s signature dishes including Corn Beef Hash, the Big Vegan Breakfast, Black Beans ‘Bean There, Soul Fire Curry, Vege Burger and Nasi Goreng which have become sought after daily menu items. While it’s without doubt the taste that has seen Black Sheep Deli attract a loyal following among both locals and visitors alike, customers are also embracing the café’s sustainability ethos. 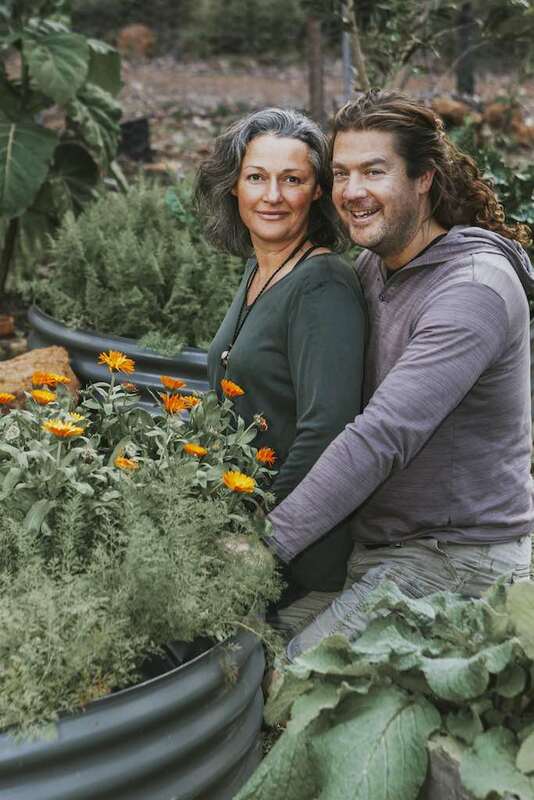 Nikola and Dan have vegetable and herb gardens thriving at both the rear of the café and their bushland retreat home, and source locally grown, organic produce for their dishes whenever possible. They’ve also taken the bold step of refusing to single-use disposable coffee cups insisting instead that customers BYO or buy a keep cup. “We also work with suppliers to minimise packaging, maintain worm farms and composting systems and generally look for small ways to reduce our footprint on the environment in our day to day operations,” said Nikola. Black Sheep Deli is located at 56A Bussell Highway, Cowaramup and is open from 6am to 6pm, seven days a week.